What happened to January?? 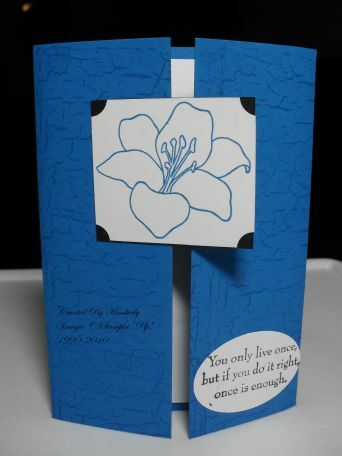 I have had a few card making sessions, but somehow lost track of time and forgot to upload my creations. So, today I will have a few posts to showcase my latest. This first one uses the crayon resist technique. I stamped Sweet Stems with Stazon Jet Black ink onto glossy cardstock. Using a crayon, [any colour will do], I outlined the images. These were then sponged with Rose Red, and punched out with the Scallop Square punch, and layered with Certainly Celery cardstock on a Whisper White card. A piece of Rose Red double stitched grosgrain ribbon was attached to the lower half of the card. I then used the Wide Oval Punch with a piece of Certainly Celery, and the Scallop Oval Punch with a piece of Whisper White. The scallop oval was stamped with a sentiment from Sincere Salutations in Basic Black, and sponged with Rose Red. The bottom of the card was punched with the Scallop Edge Punch. 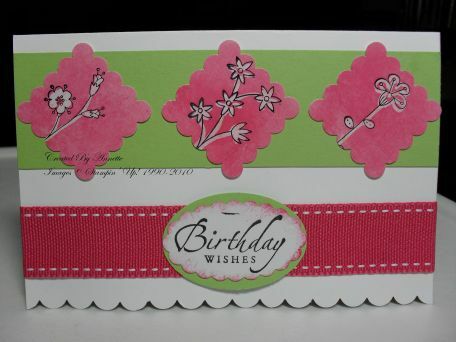 To accent the scalloped edge, I then put a strip of Certainly Celery on the bottom of the inside of the card. 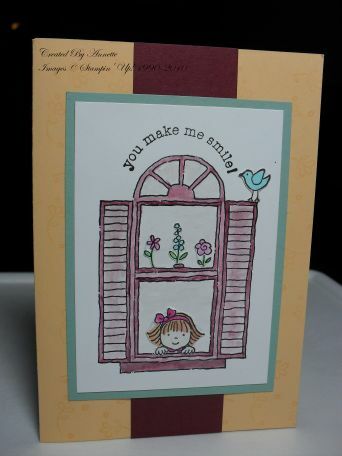 The next card uses Apricot Appeal as the base which has been stamped in Versamark with Sprinkles. A a strip of Bravo Burgundy was the layered down the centre of the card. Sage Shadow was used on the Bravo Burgundy, then layered with Whisper White which was stamped with Window Dressing in Stazon Jet Black and then water coloured. The flowers, bird and little girl were cut out [very tricky as they were so small], and layered on the window. This one was made by my niece Kimberly. I was so impressed with her design that I had to show it off. Pacific Point cut to a gatefold card was stamped in Versamark with a background stamp. A piece of Basic Black was layered with a piece of Whisper White, ticket cornered and stamped with Fifth Avenue Floral using Pacific Point ink. The sentiment is also from Fifth Avenue Floral, stamped in Basic Black on Whisper White and punched out with the Wide Oval punch.